3 Great Benefits of Hiring a Professional Landscaper this Summer! Although the summer weather feels great and allows you to enjoy the beautiful outdoors more often, it also requires you to spend a lot of your time performing maintenance. The summer season is here, which means your yard will be calling for your attention all summer long as to maintain and care for it. Although the summer weather feels great and allows you to enjoy the beautiful outdoors more often, it also requires you to spend a lot of your time performing maintenance. However, taking care of your home’s landscape can be a pain at times and take up a lot of your time, which is why you should consider hiring a professional landscaper this summer. If you are feeling unsure about hiring a professional landscaper, consider the following factors. Time is a valuable commodity, especially in the summer where there are plenty of experiences out there waiting to be had. Depending on the size of your yard, you may even have to expend hours upon hours, maybe even your whole weekend, getting everything into order so that your landscape can look just the way you want. Why waste your entire summer maintaining your property, when you can hire a professional landscaper to do it for you? 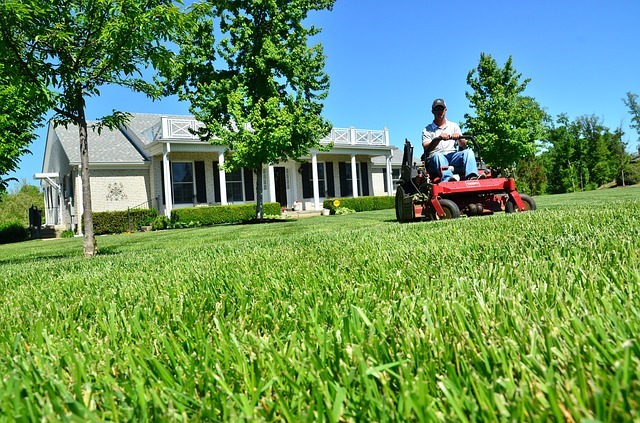 The time you spend performing maintenance is time you will never be able to get back, so unless you enjoy doing it, you should consider hiring a professional landscaper to save you the time and effort. One of the biggest reasons you should consider hiring a professional landscaper this summer is because they are guaranteed to know what they are doing. When you are trying to take care of your property yourself, there is no doubt that there are some aspects of your landscape you just do not know anything about. A professional landscaper, however, knows exactly what they are doing with pesticides, fertilizers, and anything else that they may need to use or do to your landscape to beautify it for the summer season. There is no shame in admitting that you cannot do the same type of job an experienced professional landscaper can do, which is part of the reason why you should go ahead and hire a professional landscaper to utilize their abilities in transforming your yard into something magnificent. The cost of a professional landscaper may look daunting at first, but understand that in the long run, you will find yourself saving. You will no longer have to invest in tools and products to maintain your landscape because that is part of what you are paying your professional landscaper for. If you are looking for help keeping your residential or commercial property free from soil erosion or other lawn diseases, Atlantic Maintenance Group is ready to help you with our variety of landscaping, asphalt, snow removal, and concrete maintenance services. We are experts in our field, and we are prepared to meet your needs with a price and product that will leave you grinning. To get your free quote today, give us a call at 410-768-4720 or contact us via our website today. You can also follow us on Facebook, Twitter, Pinterest, and Google+ to see how we’re growing! This entry was posted on Friday, June 29th, 2018	at 8:41 pm	and is filed under Landscaping Maintenance	. You can follow any responses to this entry through the RSS 2.0	feed. Both comments and pings are currently closed.